AMTECH Three piece design Ball valves are the very easy mounting and easy maintenance online off line with change of seat and seal in every conceivable application. They are available made from bar stocks sand casted , investment casting in various materials, likes SS 304,SS 304L ,SS 316 ,SS 316L , IC CF8,IC CF8M,IC CF3, ICCF3M .AMTECH SINGLE PC design are regular exporting valves to Europe, America ,Asia and Gulf Countries .Sizes -1/4" to 6"(6 NB TO 150 NB). We manufacture valves from genuine guaranteed raw material with material test certificate , hydraulic test certificates , Mill TC 3.1.b available with all supply. 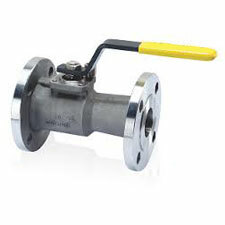 Also , we can provide valves with third party inspection agencies.